At World of Brass, you will find the best brass band recordings and sheet music from the United Kingdom, Europe and beyond. We aim not just to offer the latest releases but to present the finest brass band recordings from the last 15 years or so. Our catalogue includes award-winning recordings from Black Dyke Band, Cory Band, Foden's Band, Grimethorpe Colliery Band, The International Staff Band of The Salvation Army and many more. You will also find an increasing selection of recordings from some of the world's finest brass soloists including Alison Balsom, David Daws, Jens Lindemann, Richard Marshall, Sheona White, Owen Farr, Brett Baker, John Barber, Steven Mead, David Childs, James Gourlay and Oystein Baadsvik. We also offer recordings from leading brass ensembles like Canadian Brass, Mnozil Brass and Superbrass. If you prefer to download your music, check out our own download store World of Brass Tunes at www.worldofbrasstunes.com. World of Brass is at the forefront of live brass band concert and contest recording which has resulted in the production of stunning DVDs which include highlights from the European Brass Band Championships and the Brass in Concert Championship. World of Brass are proud to be a Principal Partner of the European Brass Band Championships. Working with the best craftsmen, the latest technology and the most highly regarded musicians, Besson always strives to do better, just as you do when you practice. Never content with relying on tradition, great though it is, our desire is to put a brass instrument in your hands that allows you to play just the way you want. Our unique brass sound is the one that band players strive for, its personality resonating through band rooms and concert halls around the world, straight to the audience’s grateful ears. In recent years the quality of Besson brass instruments has continued to rise with rigorous testing and quality control. From the raw materials, the skilled techniques of master craftsmen, to the build and finish, each instrument is played and tested by the greatest brass players you will ever hear. We do this to provide you with the best instruments money can buy, a quality that endures and retains its value, making it a 'sound' investment to help you on your journey as a musician. It has always been our belief that the purpose of a business is to design and create what the customer wants, then retain the customer. At Geneva we are very proud of our instruments and the fact that we are a British company. With our dedicated European workforce, we are now producing perhaps the finest instruments available today, and once again flying the flag for a British brass instrument company. Since we made our first ever instrument in September 2000, we have continually strived to develop our products to offer musicians the best possible instruments available. And now Geneva products can be heard resounding around the world, performed by the finest brass bands, leading artists recording for film and television, London's West End, accompanying leading pop artists, and the very best of jazz musicians everywhere. As with all Geneva products, we don't just sell you an instrument, we sell everything that should go with it, services we have built into the company over the last 14 years, and not always available with other providers. 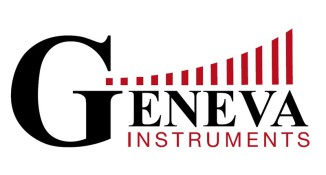 A Lifetime Guarantee, the highest quality, integrity, value for money, and a second to non-service are all part of owning a Geneva instrument. If you never have tried a Geneva instrument, then now is the time to contact us and join the ever-growing family of proud Geneva owners! Geneva is a great British company, supplying a world-wide musical movement. Established in 1887, British Bandsman is the biggest selling monthly publication in the international brass band market and a household name throughout the world. During its 130-year history, British Bandsman has been edited by many of the brass movement’s most influential figures and continues to prove its relevance and authority by providing a well-researched, informed and entertaining window on worldwide brass affairs. Through its monthly magazine and website at www.britishbandsman.com, the magazine offers up-to-the-minute incisive news, reviews, investigative features, comprehensive contest coverage, in-depth event previews, expert music analysis, technical know-how and tips, product information and thought-provoking opinion. This company is devoted to the manufacture of brass instruments with the generic brand Stomvi. With only 28 he (Vicente Honorato Ibáñez - 1952) created his own company devoted to the fine jewelry manufactory. At 30 he began his new project: Brass instrument manufactory. He was inspired for many professionals that believed in his creative ideas. He applied all his jeweler knowledge in the handcrafted manufactory of his Stomvi instruments. The similar story happened in the XVI and XVII centuries in Nuremberg, where the musical instruments workshops developed from the jewelers and craftsmen of that time. They that know him say that he has gifted musical ear and a great sensibility to perceive and appreciate the best tunings. In the inner part of his factory in Xirivella, Valencia, Spain, daily he receives famous music personalities and they interchange opinions that share and shape the big Stomvi project. Yamaha manufactures a complete line-up of high quality brass and percussion instruments. From state-of-the-art Neo and Xeno models to Concert Marimbas, Yamaha instruments are played by some of the world’s most discerning musicians. Renowned for their unparalleled quality and consistency, Yamaha has a reputation as one of the world’s leading manufacturers of musical instruments. The world-famous euphonium virtuosi Robert and Nicholas Childs established Doyen Recordings in 1988 with the ambition of offering the music lover quality recordings of the world's finest brass performers. Such has been their success in recording the very best of brass music, whether in the traditional brass band format, as brass ensembles, dedicated solo albums with the world's finest brass exponents or in new ventures dedicated to individual composers, that the critics have paid keen tribute to Doyen's fundamental philosophy of putting the music and quality first. The world renowned playing of bands such as Black Dyke, Brighouse & Rastrick, Fairey, Fodens, Grimethorpe and many others are testament to the commitment of players, conductors and engineers to establish recordings that attest to the quality of British brass band playing - music-making that is the envy of the world. Of course, the company makes no pretence of only recording serious music, rather, the emphasis is on music that clearly demonstrates the highest quality, no matter if it is light, jazzy, traditional brass band music or classical transcriptions. The reputation of the company has spread, and its commitment to quality has become well-known, with the assistance of some of the truly great symphonic brass virtuosi who have recorded for Doyen: musicians of calibre such as Håkan Hardenberger, Ian Bousfield, Maurice Murphy, Adolph Herseth, Roger Webster, James Morrison, Jacques Mauger, James Gourlay, David Childs and Don Lusher. A further development has been the introduction of a Wind Band Series. The military band or concert band has a much longer tradition in Britain than may at first be realised: the first military band was formed in 1762. Now, with more adventurous arrangements and the welcome attention of composers writing increasingly for the medium, it comes as no surprise that wind band playing is much more widely appreciated than ever before. The company has recorded major championships in Britain and Europe, and CDs of European Championships, including items from glittering gala concerts, are treasured by banding aficionados. For some years Doyen has been producing recordings in collaboration with the BBC, many of them on location, and this has led the company to invest heavily in a state-of-the-art Mobile Recording Unit. The catalogue continues to expand rapidly, and the success of the company's thematic approach to programme planning continues to provide adventurous recordings for all tastes. To earlier premiére recordings of works by Michael Ball, Derek Bourgeois, John Golland, Elgar Howarth, Philip Sparke, Philip Wilby, Richard Rodney Bennett, Edward Gregson and Guy Woolfenden, we have added world premiére recordings of music by such eminent composers as George Lloyd, Tim Souster, Nigel Clarke, Torstein Aagaard-Nilson, Peter Graham, Rodney Newton and Ray Sciberras. Since the conception of our catalogue, Doyen has recorded over 100 world premiére recordings, which encapsulates the ethos behind Doyen Recordings - simply putting the music first. Centre Stage are the market leaders in uniform and percussion supplies to band around the world. We are proud of this status and our customer service to organisations all over the world is now legendary.